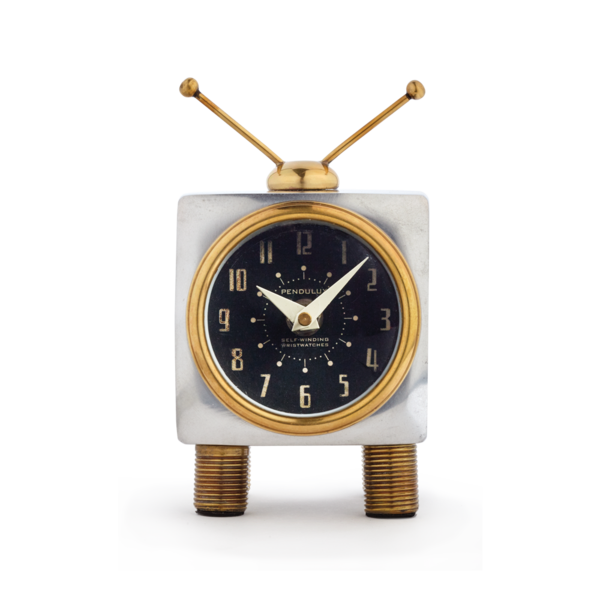 How cute is this Teevee Table Clock! Straight from the living rooms of 1950s America, tune in with the Teevee Table Clock. 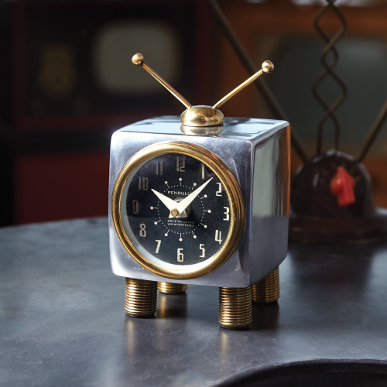 The polished cast aluminum body, inspired by the classic television sets, is outfitted with solid brass antenna, feet, and bevel, while the two-tine dial harkens back to the days of black-and-white displays and ensures that you will never miss your favorite program.